The Milwaukee Bucks prepare to host the lowly Cleveland Cavaliers in the second game of a back to back following a victory over the Los Angeles Lakers. 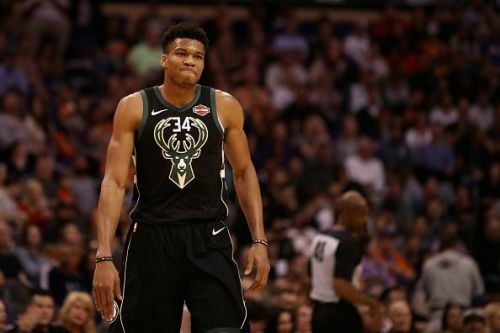 The Bucks played against the Lakers without Giannis Antetokounmpo. They were still on top of the match throughout. Khris Middleton, who debuted in the All-Star game this year, starred in the match and finished with 30 points, 10 rebounds, and 5 assists. The Bucks have the best record in the league this year. They have a 53-18 record and lead the Toronto Raptors by a full 3 games. They also lead in net points differential, defensive efficiency and are 3rd in the league when it comes to offensive efficiency. Malcolm Brogdon is the only player in the NBA to average 50-90-40 shooting percentages. He is out indefinitely and is sure the miss the entire regular season. Eric Bledsoe is having a great turnaround year for the Bucks and recently signed a 4-year extension. Brook Lopez is shooting lights out from the 3PT line and is nicknamed as the "Splash Mountain". The Cavaliers have struggled throughout the year after reaching the NBA finals last season. They have an 18-53 record and are the second worst team in the Eastern Conference. Collin Sexton was drafted as the 8th overall pick by the Cavs. He is having a fantastic season for the team and has averaged over 25 points in his past six matches. Cedi Osman is also doing very well and has shown great development this year. Milwaukee Bucks: Eric Bledsoe (PG), Khris Middleton (SG), Tony Snell (SF), Nikola Mirotic (PF), Brook Lopez (C). Cleveland Cavaliers: Collin Sexton (PG), Brandon Knight (SG), David Nwaba (SF), Cedi Osman (PF), Ante Zizic (C). The Bucks have been on an absolutely demolishing form this year. They are coming off a comfortable win over the Lakers. The Cavs have improved a bit in recent weeks but are still a poor team this year. I predict the Bucks to win this match easily against the Cavaliers.